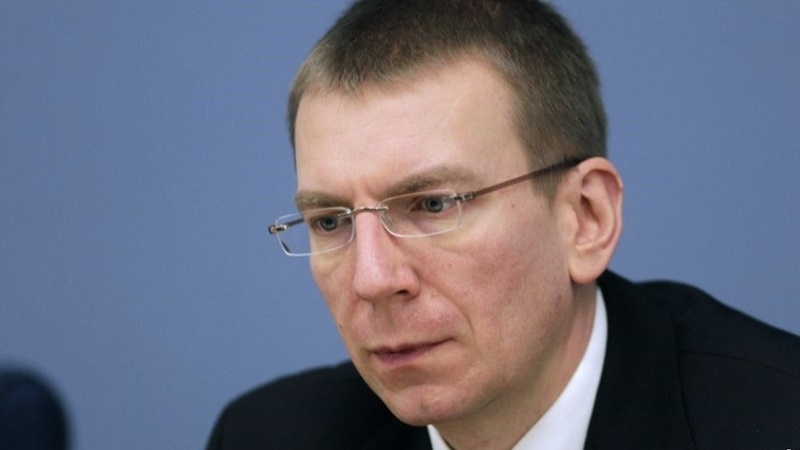 During the meeting of the OSCE Ministerial Council in Vienna the Minister of Foreign Affairs of Latvia Edgars Rinkēvičs stated that Russia should take full responsibility for its aggressive actions in Ukraine, the Press Office of Latvia reported. “It is unacceptable that certain OSCE participating states have a fundamentally different understanding about the underlying principles and values, which is evidenced by Russia’s aggression against Ukraine, in disregard for Ukraine’s independence, unity, sovereignty and territorial integrity,” says the message. The Head of the Latvian Foreign Minister took part in a meeting on the situation with the respect for human rights in the temporarily occupied Crimea. In addition, Edgars Rinkēvičs noted that he was concerned about the deterioration of the human rights situation in the Crimea, in particular with the restriction for human rights and fundamental freedoms of the Crimean Tatars since the beginning of the annexation of the Crimea. Earlier, Ignazio Cassis, Head of the Federal Department of Foreign Affairs of the Swiss Confederation, noted the readiness of Switzerland to help Ukraine in a peaceful settlement of the situation in the Donbas during a meeting with Pavlo Klimkin, Ukrainian Foreign Minister, within the session of the OSCE Council of Ministers. Earlier, Pavlo Klimkin met with Rex Tillerson, Secretary of State of the United States of America during a meeting of the OSCE Council of Ministers. The parties discussed the issue of deployment of UN peacekeepers in the Donbas. Previously, Akhtem Chiygoz and Ilmi Umerov, Deputy Heads of the Mejlis of the Crimean Tatar people took part in the work of the 24th session of the OSCE Council of Ministers. Reference: The 24th OSCE Ministerial Council is taking place on 7 and 8 December 2017 in Vienna, Austria. In 2017, Austria chairs the OSCE, Sebastian Kurz, Federal Minister for European, Integration and Foreign Affairs of Austria is the Chairman of the organization. Chrystia Freeland, Minister of Foreign Affairs of Canada who takes part in the meeting, earlier said that she would focus her attention on Ukraine and the Russian-annexed Crimea.